There'a a point in every man's life when he can finally step back and take the true measure of his own self. As I looked at my pics before pasting them on this post, I realized something important about myself as an artist. My only true specialty is painting acne. At nearly every opportunity, I garnish my miniatures with big, juicy boils. This Cave Troll by Aly Morrison (1987) is a typical example. There's a lot going on in this sculpt. I love the goat horns and tusks emerging from the deeply textured face. I also love the unhealthy slabs of fat that sag from his body. But notwithstanding the other attractions of the miniature, I can't help from highlighting his boils and making them the centre of attention. My acne painting technique is pretty simple. It's a final touch after the rest of the flesh is fully shaded and highlighted. I then mix a very small amount of red into the mid-tone of the miniature's skin, using this to slightly blush the area around the boil. I gradually increase the proportion of red in a smaller and smaller area, intensifying the circle of infection until it terminates in a bright pink circle. The pink is then crowned with an off-white dot (to create a white-head) or a green splotch (to create a pustule) or some combination of the two. 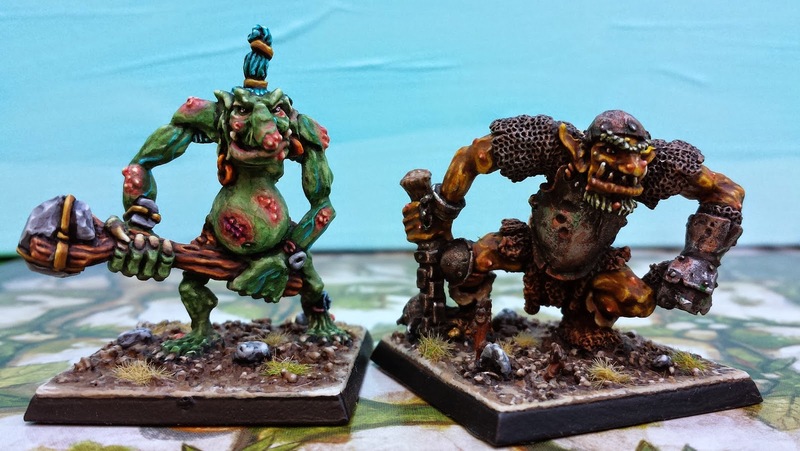 This Marauder Troll (1989) and Aly Morrison's Warrior Troll (1987) demonstrate the same dermatological issues. I'm particularly fond of the way acne looks on supernatural skin colours. 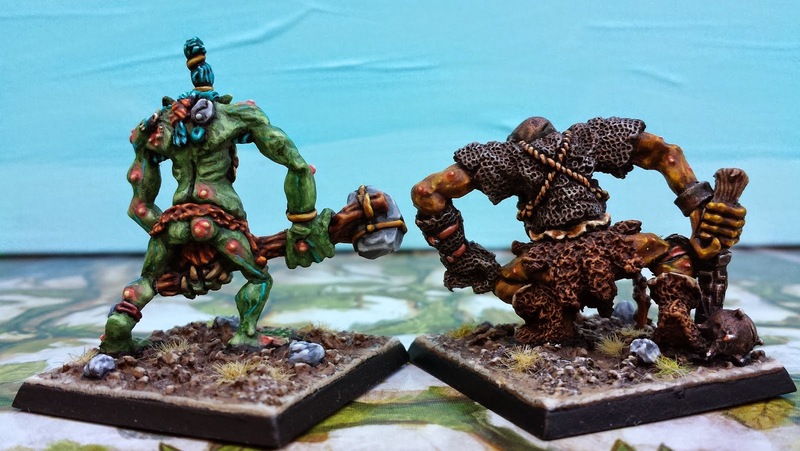 Because they're contrasting colours, the green hues in these minis give the red boils a special glow. They seem to pop right off the skin. Off they go, in search of Neutrogena! In my view, these two sculpts exhibit how much Citadel miniatures changed (for the worst) from the mid-1980's to the late 1980's. The Warrior Troll from '87 is packed with energy. His limbs so compressed that he seems to lunge head first off of his base. This directs your eye to his expression (with its fierce under-bite) and his slapdash collection of armoured scraps. His weapon is there, of course, but it is more threatening for being held back. The green Marauder Troll, on the other hand, presents a much less dynamic miniature. His face is as fantastic as every other Morrison miniature, but his pose is static. 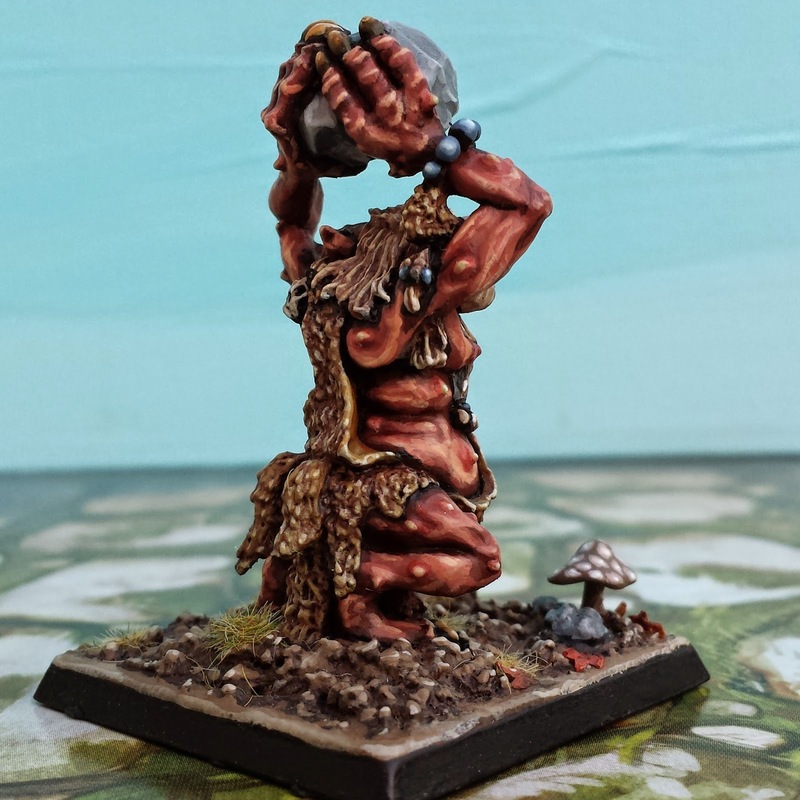 All the emphasis falls on his big stone club, which draws the viewer away from the miniature's face. This focus on weapons is a hallmark of most Citadel miniatures from 1990 to the present. But a weapon can never be as interesting as a really fat pimple. Wow, a really terrific blog you have started here! 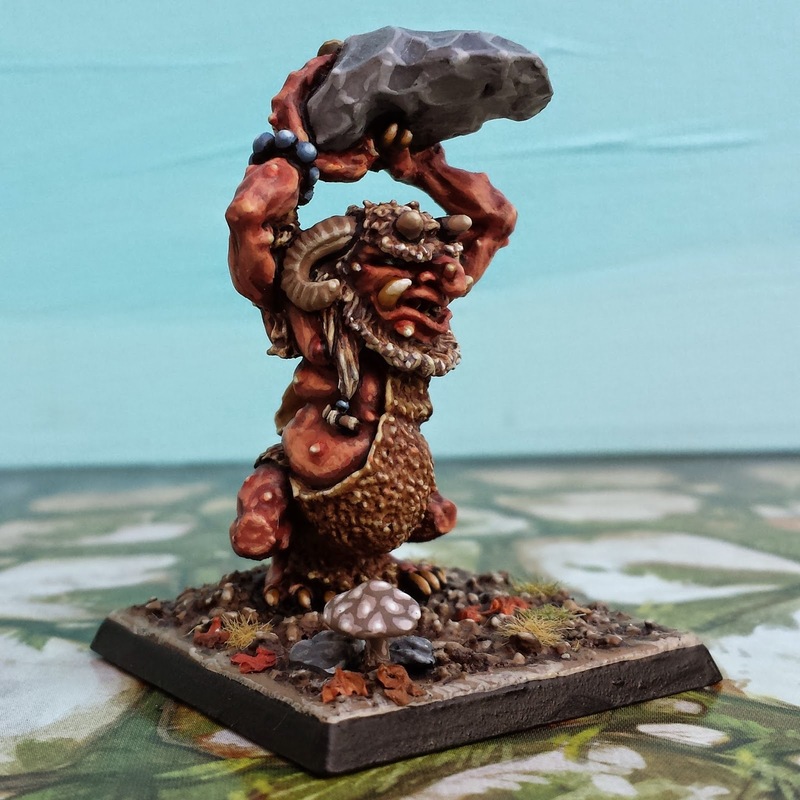 I have never seen a painted version of the Warrior Troll before and yours is ace! As for acne, I think the Golden Age Geniuses were just being sympathetic to their target demographic - I remember being a pimple-covered, pockmarked poxy youth living for scooping up new minis, and if they looked like me all the better! I agree with your interpretation of how things developed at GW too, one only has to look at their current range and all their heavies carry weapons that are over the top, ala magna proportioned weapons!